Well, yes, yes I have got polish. Almost 900 at time of writing! And the worst part is, most of them have only been used once (if at all!) 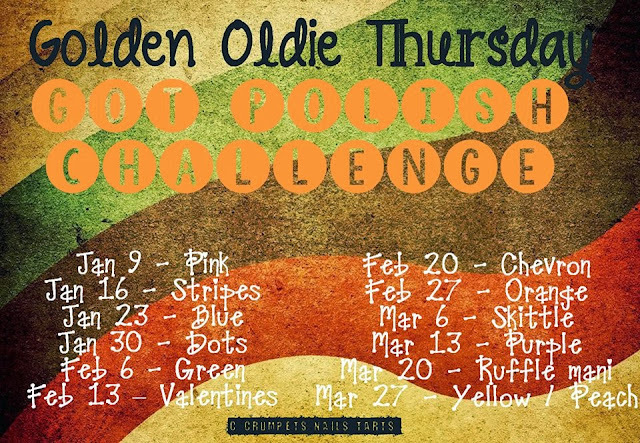 So, over at Crumpet's Nail Tarts we developed a challenge to dig out some of those unloved polishes and put them to use! 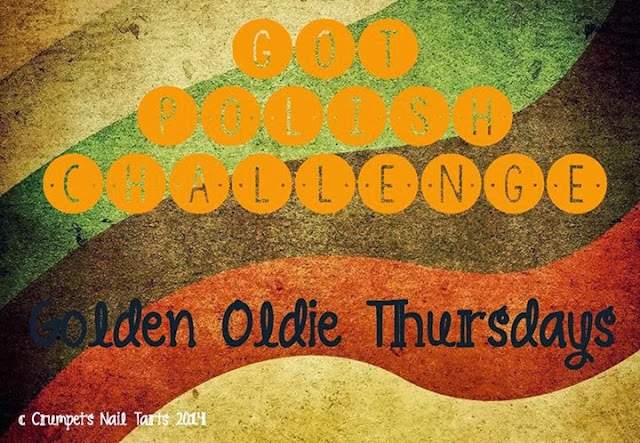 The rules are that they must have been used at least once, and be at least a year old (or your oldest polish if you've not been an addict a collector that long!) This will run weekly and the first theme was pink! I used a grand total of 6 pinks in this mani, all of which I've owned for a year or more. I started with three coats of Revlon Starry Pink (which was a birthday gift two years ago and has been used once since!) and then created a pink Nailasaurus Nimbus using OPI Steady As She Rose, Pink Friday, and Elephantastic Pink, China Glaze Dance Baby and Orly Preamp. I'm really looking forward to this challenge, as well as Tri Polish Tuesdays! Lots of fun to be had at Crumpet's Nail Tarts if you want to join in!